A discreet and subtle way to keep your bathroom smelling fresh! 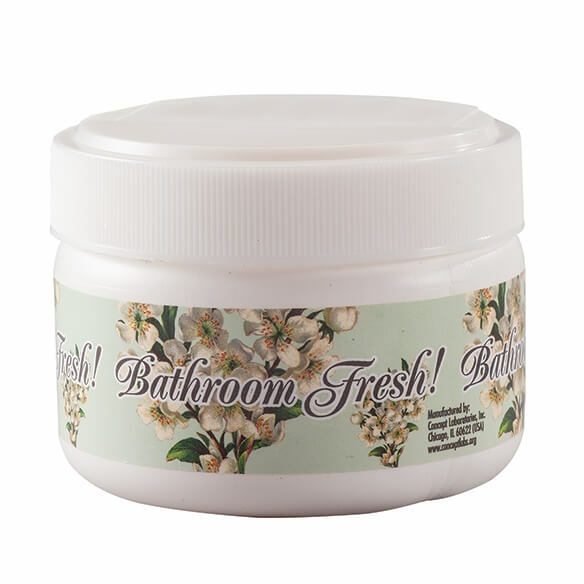 Instead of overwhelming sprays or candles that try to cover odors, this cute Bathroom Fresh Odor Absorber jar contains gel that absorbs and traps odors, replacing stale air with a light, fresh scent. Simply remove seal, replace lid and tuck away on any level surface. Also great for basements, closets, near trash cans or litterboxes, and anywhere you find unpleasant odors. I would recommend this product, I like the fresh smell. Keeps my small bathroom odor free! Well as we all know, bathrooms need a nice fragrant scent at ALL times!! BEST ANSWER: Thank you for your question. It should last about 3 months. We hope this information will be of help to you.